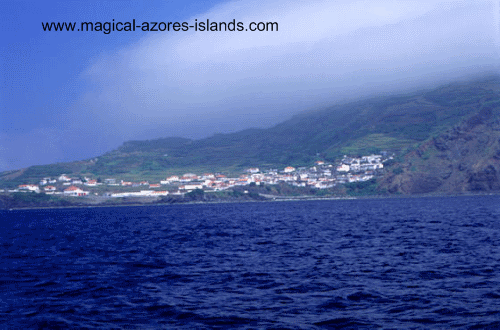 Corvo Island is a tiny island on the northwest end of the azores archipelago. With a mere 400 inhabitants, a tiny runway right on the edge of the ocean, and small harbour, this little island is certainly quite remote, even by Azores Islands standards. I hope you enjoy these pictures of this pretty little island. The picture above shows Wila Nova do Corvo, the only town on the island. The picture below is while heading to the neighboring island of Flores. Credits: Associacao de Turismo dos Acores.